This is the story of the Ibama twins. Max and Rex are identical twins and they love to travel. 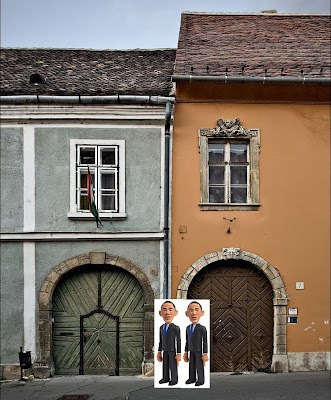 Here you see them in Budapest waiting for the real estate lady to close on one of the houses that they want to rent for a time in the capital of Hungary. The real estate woman took the picture. They are having a problem deciding which house to live in. They both like the peach color one on the right but they feel, for some reason, they should live in the blue house on the left. Max and Rex have asked for a delay so they can be sure they choose the right, ah, left one. 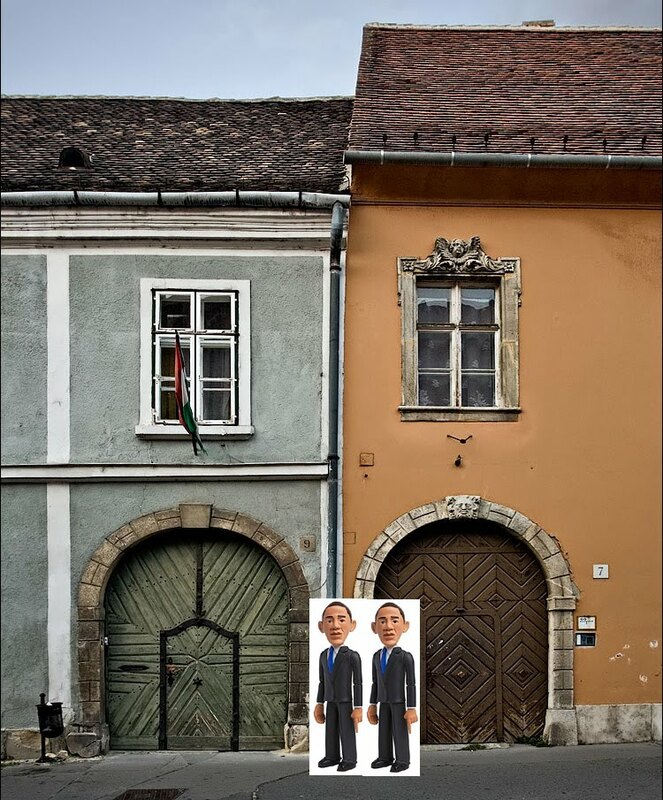 Thanks to Bud's Travels for the idea and inspiration for the Ibama twins! Y can really dig the twins!